Let’s discuss the Ego, and the Door, and why it’s important to Get out of your own way when it comes to business….. Especially, when it comes to business. You’ve heard the saying before, “Leave your Ego At the Door” – right? It’s a term that is used in just about all professions. The first time I heard it was in Network Marketing. I will never forget it because for me, it was so profound. I had never heard it before, at any time in my life. But it made so much Sense. Dora Chambers, RVP (regional vice president) with the first network marketing company I got into – she had already been massively successful. 2 people in the company that were in the Top 10, and top 20 respectively, were in her Downline. So naturally, she had my respect – I wanted that lifestyle that came with having 2 RVP’s (or more) in my Downline. So when she shared this bit of knowledge with me I never forgot it. When people join a network marketing company, she said … they bring their EGO with them. Then she said, EGO stands for Edging God Out. Now, regardless of what your spiritual beliefs are, I am sorry but I’m yet to see a top income earner in a MLM Company that does not have some sort of Faith. Most of the successful people interviewed by Napolean Hill for his best seller, “Think and Grow Rich” points this out too – Most top achievers are people of Faith. So, if you are a person of faith – why do you bring your EGO into business? Why do you insist on having things YOUR way? Why is it that you are so UNWILLING to do things, the way THE Company you have joined says, things need to be done? Why don’t you Trust that they’ve already tried most of the things you are going to try; they’ve found out those things do not work; and they’ve found the things that DO WORK; which they’re now teaching to you. BUT your EGO is so big, that you decide YOU have a better way …. MOST people stand in the way of their own success; because of EGO. Dora Chambers taught us then, that when it comes to network marketing – If you want to be successful, you Must Leave Your Ego At The Door. Again, EGO means, Edging God Out – Not allowing God to work through other people; not allowing other people to tell you what to do, what to say, or how to say it – as if God does not know what He (or She) is doing…. as if YOU know more than God. I’ll tell you this, some people do NOT believe this; But God really did send me into Network Marketing; It was a late night evening, I was outside, having a bad time in life; lost and did not know where I was going; I looked to the sky, and prayed for God to send me an “opportunity” – later that week a good friend from high school invited me, to a meeting. To me, that’s how God works. We pray, and then God works through other people to answer those prayers. But the problem MOST of us have, is our EGO. This one is about fitness and weight lifting; See, EGO gets you INJURED! Same thing happens in business – don’t get HURT because your EGO is in the way. This one shows how EGO can cause you to FAIL in Business. I like this one mostly because while it’s talking about RUnning, it’s also talking about how you and I have to allow things in our lives to help MOVE us to where we say we want to go. See if we Really had Faith, we would not see Obstacles. We would only see Stepping Stones. If you really had Faith, you’d TRUST that the people telling you what to do in your network marketing company, really do have YOUR success in mind; not just their own. The only person who really has a Financial Incentive To tell you the TRUTH is your Sponsor and Upline. People these days are listening to everyone BUT their sponsor and upline. Even Albert Einstein said it. You wanna argue with one of the most intelligent people to ever live? I won’t argue with people that are that smart. 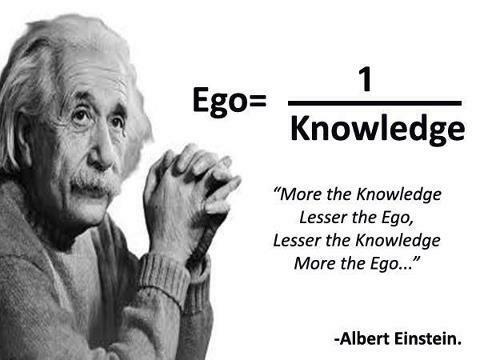 The more Ego you have, the less Knowledge you actually have. The LESS Ego you have, the more Knowledge you’ll gain. It’s true – when I set my EGO aside, I began to see Results in my business. Results = Checks. If you don’t get CHECKS in your business; CHECK YOUR EGO (at the door), FIND a good Coach and/or Mentor – and Get Out of YOUR Own way! Read More Business Training Articles from TopNetworkersGroup – On How Your Ego Hurts you, and does not Help you in business, and other related topics – that require you leaving your Ego at the door to reach the kind of results you want, in business. Get out of your own way. Let others teach you a few things. You’ll be surprised with how much this helps you achieve your goals! Is The Rule of 7 Real Important or Not Important at all? I first heard about this ‘theory’ some time ago, in my early years of network marketing. When you RUN out of a LIST early on, like we did, you had to explore the world of Cold Marketing. People like me, turned to the internet early, and found out how important it is to build relationships with others, before sharing your business opportunity with them. In the marketing game, there is an old adage that basically says that people only really pay attention to any sort of marketing material after ignoring it six times. The seventh time, it is believed, is the time when the person finally takes note of the marketing and what product is on offer, as well as considering making a purchase. Every other instance, that’s not the case. Of course, “seven” isn’t set in stone and the realization may come sooner or later than that, but the general idea is near-universal. Whether it is an Effexor lawsuit that is about to turn into a class action or a mint-condition Lamborghini Miura, the rule of seven’s notion of delayed reactions applies and should be accommodated in the plan. Noise is part of the rule of seven. There’s a lot of stuff going on in the modern world, with so many products competing for the attention of every last scrap of the market. The result is that even the best-designed of marketing materials don’t always get noticed. They’re slowly drowned out by the background noise – or considered by a majority of the public to be part of that noise. Sometimes, the rule of seven applies because the product isn’t needed by the customer at the time they see it. Since it isn’t needed, they don’t pay attention to it and just continue on as if they’d never encountered it. Price can affect the exact number, as well. Customers may find that they’re interested in what is being offered to them, but they aren’t entirely sure they need it at the cost that’s being asked for. This is particularly prevalent in certain income ranges and during the right economic conditions, when people are far more conscious of how much they spend and on what than they would normally be. Then there are the times when the rule of seven factors in because the customers don’t know, like, or trust the business. Maybe the product or company is new, so it is untested and thus struggling to find customers willing to give them a try. It is possible that the market has a lot of people that are loyal to another product or aren’t fond of the brand or the company attached to it. Or perhaps they simply do not trust the company for any number of reasons, including a possible widespread product recall or highly-publicized major defect in the past. *Updating our article & interview on “How to Overcome Failure”, originally published in 2013. Lots has happened since that time, as of today, February 7th, 2018 the company myself and the gentleman I interview below is no longer in business. The information is still pertinent and relevant as this is information from a person who has Overcome failure in his own efforts in business & investing. I actually got started in Cryptocurrency through this guy, as he referred me to Coinbase to get started with my purchases. I’d also like to direct you to another more recent article featuring Shark Tank’s Daymond John, giving Advice on Failure and how it Truly Can be helpful. I say that because there have been plenty lessons learned from business opportunities and partnerships that have not gone as I hoped they would. Full Disclosure, I signed up into this opportunity with this man and he didn’t believe in it like I did; so I was left mostly to build by myself. Building without quality help is Difficult in Network marketing. We can improve our odds by understanding the value of teamwork. Enjoy the article and interview below – you’re welcome to leave a comment! His name, is Damon Brooks, Sr. I was invited to work with him in a Pre-Launch opportunity. The company actually Starts Pre-launch in February so now is the time to Position yourself, and others. I had seen this program briefly, before being invited to work with Mr. Brooks. Because of the success he’s had in business, and the dedication he shows to businesses that are Proven to Pay Out, I went ahead and got positioned – with what might turn out to be a very solid business opportunity. Watch the entire hangout, as I start the Live Call out, discussing why a busy professional would consider adding “another business” to a plate that is already full, which is exactly the sitatution I am in, as the CEO and Founder of TopNetworkersGroup, having just launched OUR own training system for network marketers, And recently re-activating my empower network; I definitely have a full plate. 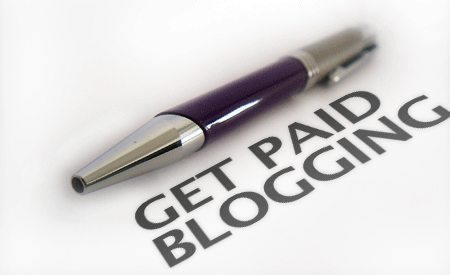 I’m also a Veteran of the Industry; which says A lot… having been around for over 14 years now – starting out with a successful MLM Company in 1998 and staying in Just One Company for 5 years, till 2004; I know what it’s like to be ‘married to a company while not making much money’ …. – but … I’m really not who you want to see. You will want to brace yourself, for the Wise words and Experiences of Mr. Damon Brooks, Sr., who delivers nugget after nugget on what it takes to be successful in Business. He talks about HOW a busy professional who is already making money in other places, and who’s focused on a Income Stream that they have been building for a matter of months – can Position themselves in a “new” business opportunity, while remaining focused on what they have been focused on. It’s absolutely exactly what every single person in MLM wants to know, and Mr. Brooks delivers the goods … Get your PEN and PAD ready!!!! Get ready to hit REWIND several times!!! You can watch the Hangout again AND position yourself to work with OUR Team, here..
GET positioned within our 3×7 matrix – Play a Leadership ROLE and participate in our NEXT Hangout for this Pre-Launch effort! 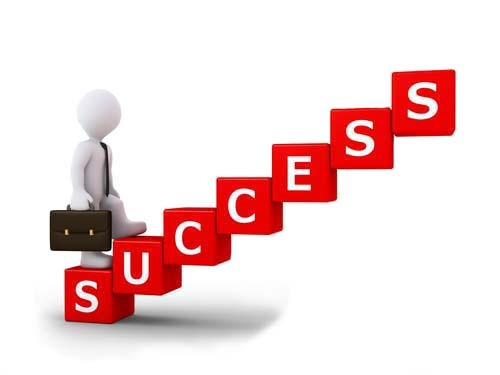 Looking forward to connecting with you, as your partner in Success! GET Positioned with us NOW! Also Related topics on how to Overcome Failure by TNG include :: the David Wood Meltdown and MLM | Star Wars MLM Lessons from The Last Jedi | You can Overcome Failure if you CHOOSE to be successful. Often that is going to show up in the actions you take, daily, weekly, and monthly. It is a process, but you will succeed if you are determined to.